About 170,000 new commercial buildings are built each year in the U.S. As many as 70% – 80% of those are framed with steel. Why? 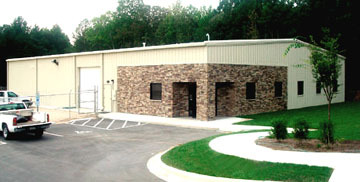 Commercial metal buildings made with steel can be designed to fit almost any commercial operation’s requirements. They go up faster, stay stronger, last longer, and protect better than other ordinary construction techniques. RHINO commercial metal buildings are built to exacting standards and included many standard features not included by other steel building companies. It is this insistence on quality that makes RHINO commercial steel building kits more durable and attractive than the competition. Building with steel is the smarter choice for many reasons. Steel is an eco-friendly building material— the most recycled substance in the world. With top-grade insulation like the Pro-Value Package from RHINO, your commercial building will be much quieter and energy efficient, a money-saving bonus for you and a big plus for the environment. RHINO’s steel framing provides stronger protection against weather extremes, is noncombustible, and is termite-resistant and mold-resistant. These commercial metal buildings are designed to maintain their attractiveness and value for decades longer than labor-intensive wood structures. RHINO’s steel building kits are prefabricated with all the framing pieces cut, welded, and drilled for you at the factory, so erecting the framing is simple. RHINO commercial metal building kits can be assembled so quickly, construction time may be slashed by as much as one third. Although many of our customers elect to erect the framing themselves with a few friends, we can recommend professtional framing crews if desired. RHINO commercial metal buildings can be finished with a variety of facades, including maintenance-free colorful steel panels, stone, brick, stucco, glass, tilt-up concrete panels, or even rustic wood to reflect the image you want for your specific commercial enterprise. RHINO also offers several canopies and eave treatment options to enhance the look of your commercial steel building. Steel framing is so strong it is self-supporting and does not require interior columns or load-bearing walls to “prop up” the frame like wood framing does. This open, clearspan interior allows complete floorplan flexibility; you are free to layout your commercial building any way you choose. RHINO commercial metal buildings can span up to 150’ wide on a standard design, with unobstructed up 200’ or even more available with a custom quote. Buildings up to 480’ wide are possible with a one center support column. Wall heights up to 40’ are standard, but even higher designs are available with a custom quote. RHINO has the experience to help you build your commercial metal building on time and on budget. Call a RHINO consultant today and let their wealth of knowledge and experience guide you in selecting the perfect building package for your commercial enterprise. 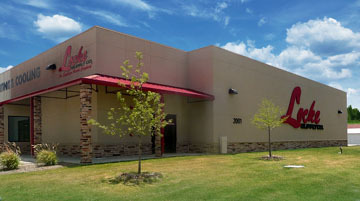 Call us at 940.383.9566 for more information on our commercial steel buildings. Share the post "Commercial Metal and Steel Buildings"